It’s the height of bad form to praise Arvind Kejriwal of the Aam Aadmi Party these days! He is Villain No. 1, spoiler of nationhood, Urban Naxalite, Anarchist, Destroyer of Delhi, Descendant of Timur…add Nadir Shah, Ahmad Shah Abdali and Mohammed of Ghor too plus Jaichand, Mir Jafar and all the rest rolled into one (or shall I say trolled into one) and you have the Mainstream Media’s view of the man at the heart of the Greatest Peaceful Political Revolution in India! As long as AAP continues to remain OUTSIDE the bro-feudal establishment it continues to give us GR8 HOPE for the future! The criticism levelled at AAP is that it’s now been identified with ONE PERSON only… I have no quarrel with that as long as the said person is not a dimwitted fool who allows himself to be destroyed by being either too liberal or too dictatorial…and Arvind Kejriwal seems to be neither! Is it the contention of the anti-Kejriwal faction that he should have allowed everyone from Yogendra Yadav to Prashant Bhushan to commit infanticide while he looked upon benignly even as his own child was being murdered? The fact that Kejriwal managed to survive is a miracle in itself! I have been reading my dear friend Mayank Gandhi’s book “AAP & DOWN” and what comes through the pages is the anguished cry of a man who admired Kejriwal, had a romantic vision of AAP and was traumatised to see it being shattered into a million pieces in the realpolitik of survival in Delhi! Local autonomy looks and sounds great for the purpose of optics; but when local satraps become more powerful than the central leadership the party meets the fate of the BJP where Narendra Modi was able to pull it up by the bootstraps and drag it to power or of the Congress where leaders have been left still in search of a party! Kejriwal needed to avoid that fate whatever be the cost! When AAP swept Delhi winning 67 out of 70 seats the next logical step should have been a massive drive in Mumbai for the BMC (Municipal Corporation) elections. Mumbai’s Municipality with its ₹34,000 to ₹40,000 crore budget and its huge power to mobilise corporate funding would have made whoever won Mumbai more powerful than anyone else in AAP! 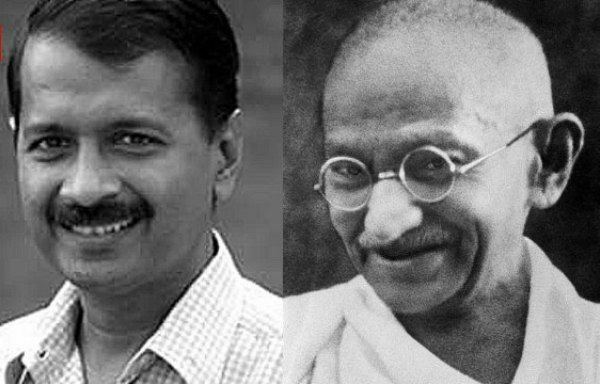 If Mayank Gandhi and the rest had been allowed to continue their work in Mumbai either of the two things would have happened..either AK (Arvind Kejriwal) would have been able to make that Great Leap Forward for a National Platform or MG (Mayank Gandhi) would have been dictating terms to AAP! Kejriwal decided (perhaps rightly) it was too much of a risk to take.. So why is Kejriwal still important? That’s because the idea of AAP has the strength to transform Indian politics into the participative democracy all of us have always desired and have never found..